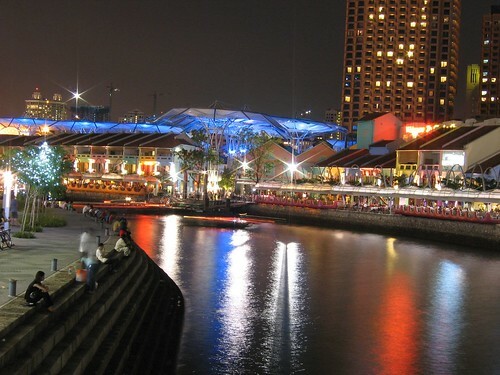 The Riverside refers to the north and south banks of the Singapore River between Clarke Quay and near the mouth of the Singapore River. Near the river mouth, the north bank is home to government offices and south bank occupied by financial institutions and corporations in modern high-rises. Beyond the river mouth are the restaurants, bars, shops and entertainment spots. More at Guide to the Riverside. 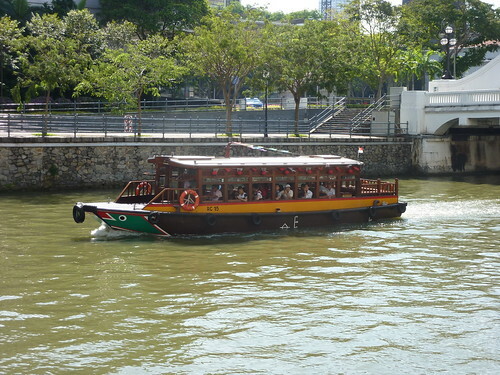 Take the boat cruise, relax and enjoy the sights along the Singapore River. 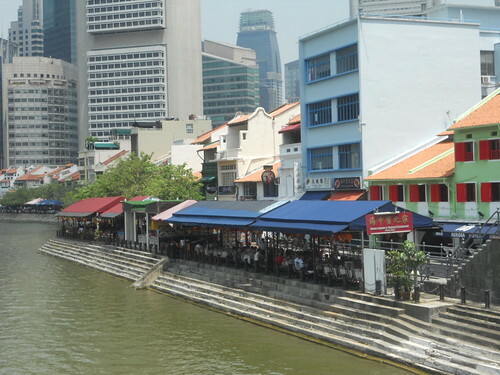 The boats arrive and depart on a 40-minute trip between Clarke Quay and the mouth of the Singapore River (near the Merlion). Many colonial buildings can be seen on the north bank, especially near the river mouth. 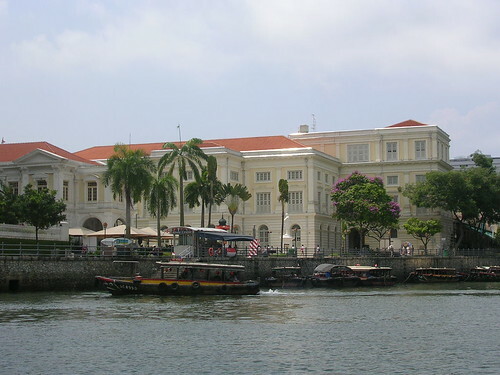 Colonial reminders include the Victoria Theatre and Concert Hall, Empress Place Building and the Old Parliament House. The three quays along the Riverside seems quite and almost deserted during the day except for a few wandering tourists. The quays only turn lively with the crowd as evening approaches.